Welcome, dirt bike fans, to the annual Classic Dirt Bike Show, sponsored by Hagon Shocks. 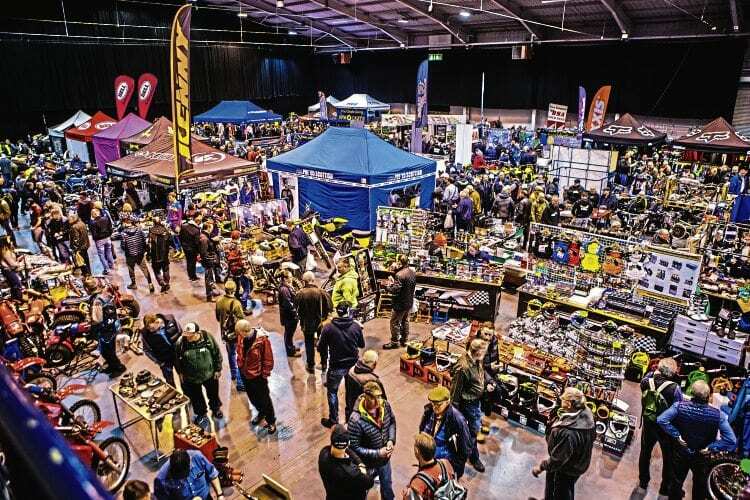 We would like to thank all the folk who turned out to support the show last year; once again it was the scene of much activity and merriment (particularly at the bar…) with special thanks to all those who turned up armed with a Hagon bike, and congratulations to all the trophy winners. It did leave us with the question of what is the collective noun for a multiple of Hagon machines?… (the best answer given to us on the stand wins a free beer on Saturday night!). Thanks to all who took the time to chat with Alf Hagon. He was amazed by the recollections of some showgoers who recalled watching Alf ply his trade on a motorcycle across the years. 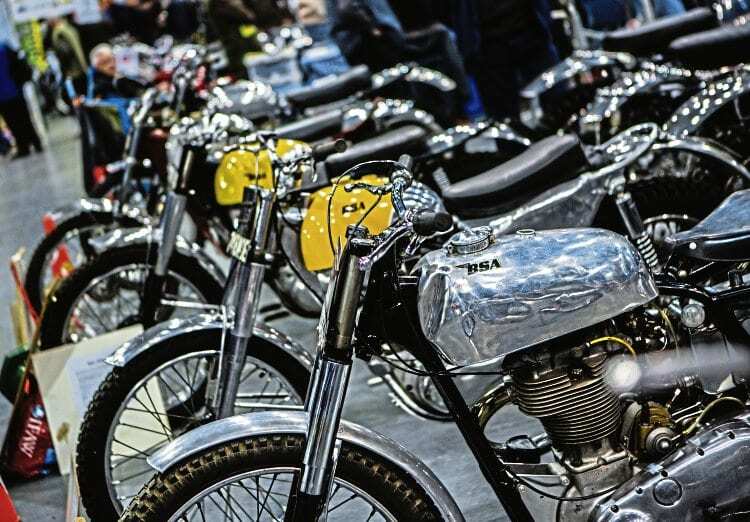 No doubt there’ll be more stories being retold this year, with some undoubtedly instigated by the launch of the new bookazine, Alf Hagon – About more than speed, by CDB editor Tim Britton, which will be available at the show. This year’s special guest stars – Dougie Lampkin and John Banks – will no doubt bring some tales to the table on Saturday night, along with a bit of banter from Jack Burnicle thrown into the mix. This dinner and guest speakers will make for an entertaining evening, to say the least. We hope you all have a great weekend looking at bikes, searching for parts old and new, or catching up with fellow mud warriors, whatever they ride. Have a good show everybody, and here’s looking forward to whatever adventures the year 2019 brings us all.